In Tam Dao land there is a “fairy hiding in the midst of forest” that is praised and loved by that many people! That is the “fairy” Xa Huong – an artificial lake hidden in the valley. 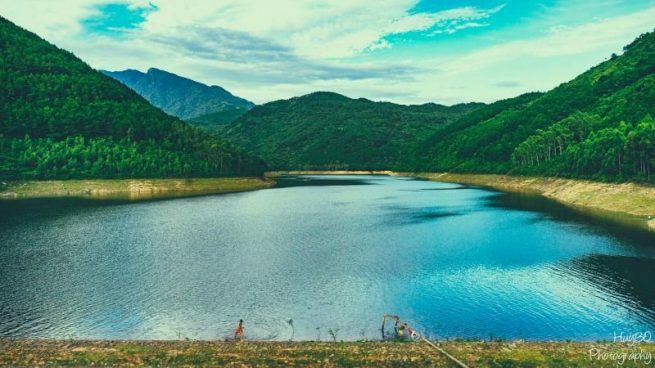 Over 30 years, Xa Huong lake is not only a source of clean water for local people through generations but also a beautiful landscape of Tam Dao land. Tam Dao, you do not forget to visit the lake to enjoy the poetic moment with peaceful and quiet nature! Xa Huong Lake is located in the valley of Con Trau Mountain, in Xa Huong village, Minh Quang commune, Tam Dao district, Vinh Phuc province. Xa Huong is an artificial lake built in 1984, covering an area of 83 hectares and can contain over 12 million m3 of water. Xa Huong Lake will have rain season and dry season, but the lake water is also strangely clean and green! Natural beauty changes through the season, contributing to the lyrical, poetic and sparkling beauty of Xa Huong lake. In any moments, Xa Huong Lake is also beautiful and charming. Watching the Huong Huong Lake from high altitude, visitors on Vietnam package Tours will admire the lyrical and dreaming beauty of this green lake. At the same time, Xa Huong Lake is like a giant miraculous mirror shining and shimmering. In spring, Xa Huong Lake is mixed with the trees full of vitality, boldly bringing the atmosphere of jubilant bustling for the forest and creating a dreaming, romantic and sweet scene! In the spring, Xa Huong lake suddenly transformed into a lovely “fairy girl” of the Tam Dao land that many people have fallen in love with! The summer comes, dispelling the dark night and welcoming the new day, it seems that Xa Huong Lake also sparkles the warm yellow sunlight. The surface of the lake is bright and radiant as if it is hiding a miraculous treasure! Step into the autumn, coming to Xa Huong lake on this occasion, travelers on Vietnam Small Group Tours will be immersed in a peaceful scene with the gentle winds. The forest, changing the color of elegant golden and the beautiful red color will create a dreamlike landscape as in Europe. The emotions are also very pure, relaxed and peaceful. During cold winter days, the lake here also becomes colder, more miraculous with the misty breeze, and the weak sun rays. In winter, Xa Huong lake is much calmer than ever, which provokes the feelings difficult to describe. 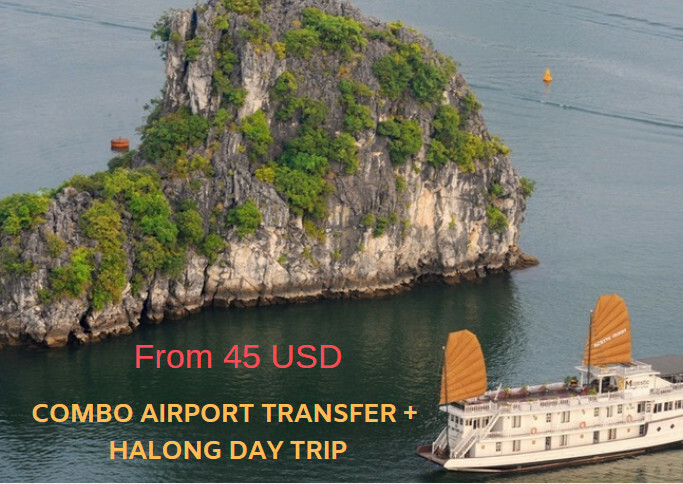 Enjoy the scenery charming, so poetic in here, tourists on Vietnam Private Tour will be dumbfounded and stunned by the beauty of Xa Huong lake and the forest. Blossoms full of vitality spreading their own scent will also make you forget about the way back, forget the time. You can even float on the boat to explore each corner, giving yourself a chance to experience the simple and rustic feeling in life. When you paddle, try to touch the clear water, you will again feel like touching the magic world of nature and waiting for the unexpected. Beside that, you can also sit at the shore of the lake drop fishing rods or walk around the lake, wading through the streams, rocks to decipher the mystery of nature, continue to fulfill the dream when were children, you often wished after folding the last page of fairy tales. The wilderness of Xa Huong lake is the most attractive point of Xa Huong lake. Finding the lake to leave the busy city will be a great choice when you want to find the peaceful emotions with nature, want to be immersed in moments of peace. Tam Dao land has long been a wonderful paradise resort in the North, is a meeting place in the holidays or the weekend to everyone who would like to “escape the city.” If you come to Tam Dao, then you should spend a sweet date in the gentle weather with the lake Xa Huong – “the fairy of Tam Dao”!